Huguenots were French followers of the ideas of John Calvin, the great Protestant thinker of the mid sixteenth century. Their equivalents in England were known as Puritans. Unfamiliar religious ideas were a threat to the established order, and Calvin’s followers were persecuted, causing religious wars between Catholics and Protestants to rage for several centuries in Europe. By the late seventeenth century, in 1678, the records of the Huguenot Society of London attest to the presence there of a ‘Thomas Pierresenay’. A decade later three members of his brother’s family (from Dieppe) joined thousands of their countrymen in London as religious refugees from Catholic France. In later English records, the family name is spelled correctly as Pierssené, a most unusual surname. Many of today’s descendants from the Huguenot Pierssené family in fact descend from a female, Ann Pierssené, who married Thomas Fatt in London in 1766. Some of Ann’s descendants changed their name back to Pierssené, adopting the French pronunciation (Pierssenay). Those who descend through the male line generally spell their name as Pierssene and pronounce it as Piersseen. 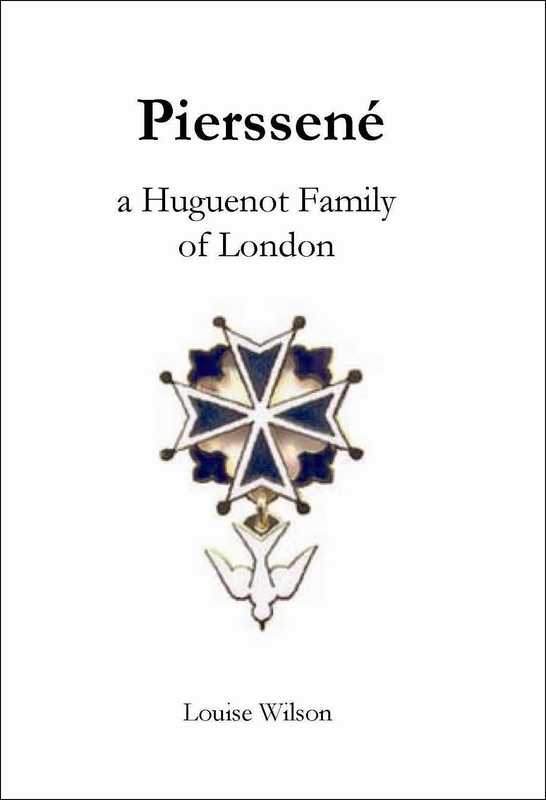 Worldwide, the name Pierssene/Pierssené is currently carried by fewer than 100 descendants of the original Huguenot refugees who fled to London. But thousands of people will find that this name pops up unexpectedly in their family tree. Will future generations keep the Pierssené name alive? This volume, containing many biographical snapshots, gives them a reason to do so. Review : I live in England, and this book greatly helped me with family research about my ancestral link to the French Pierssené family, containing interesting information about Huguenot history. It is also well structured and easy to read, recommended for anyone pursuing further information about their connection to this family.